Canada's Coat of Arms was proclaimed by King George V in 1921 as a representation of Canada, and its political roots, especially its ties to Great Britain and France. 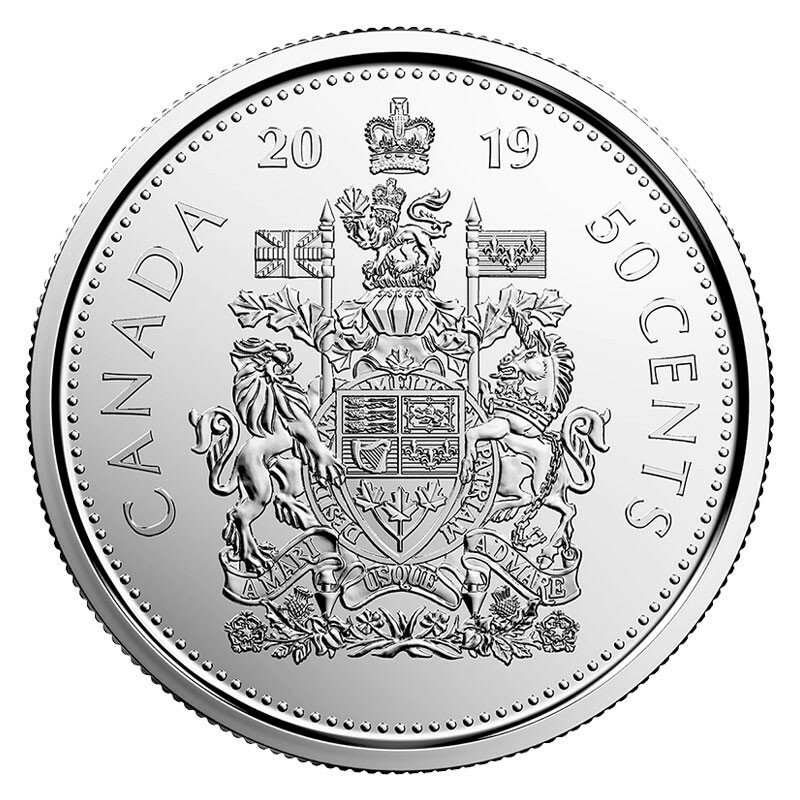 The design features images from France (the fleur-de-lis), England (the three royal lions and rose), Scotland (royal Scottish lion and thistle), and Ireland (the royal Irish harp of Tara and shamrock). 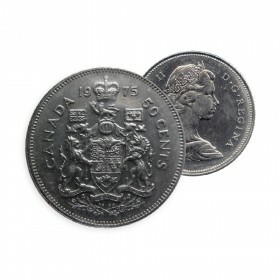 In 1957, the Tudor Crown originally featured in the Coat of Arms was replaced by Saint Edward's crown because it represents all of Britain's monarchs, rather than only those of one ruling family. 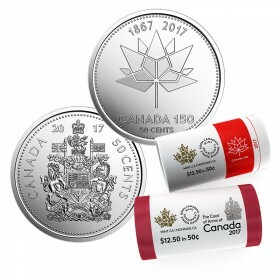 It was modified again in 1994 so that the motto of the Order of Canada: Desiderantes Meliorem Patriam, Latin for "they desire a better country"—could be added. 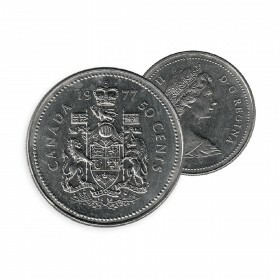 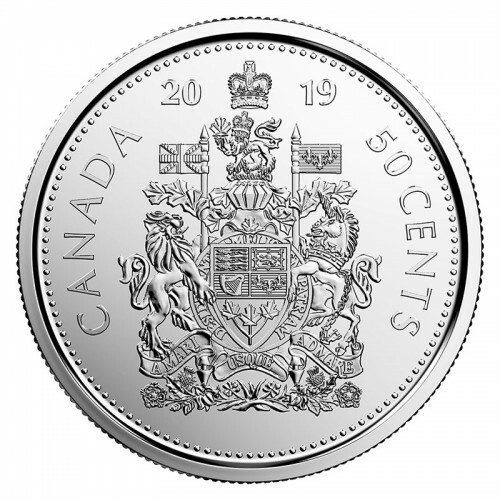 Although proclaimed in 1921, Canada's Coat of Arms did not appear on the fifty-cent piece until 1937, and it was not until 1959 that the design was modified to include Canada's motto: A Mari Usque ad Mare —"from sea to sea." In 1997, the first fifty-cent pieces featuring the addition of the Order of Canada's motto were struck. 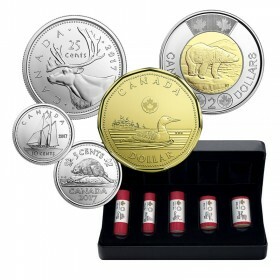 Although no longer used as circulation coinage, this coin's limited mintage, and powerful symbolic representations of Canada's diverse heritage make it a favourite among collectors. 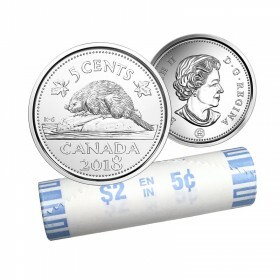 • Fifty-cent coins are no longer in circulation but you can still enjoy this coin rarity picked from a freshly minted roll for 2019. 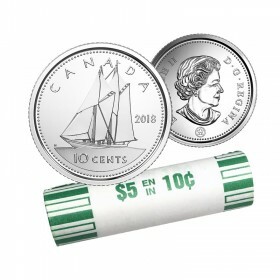 • The only way to get the 50-cent piece outside of a set. 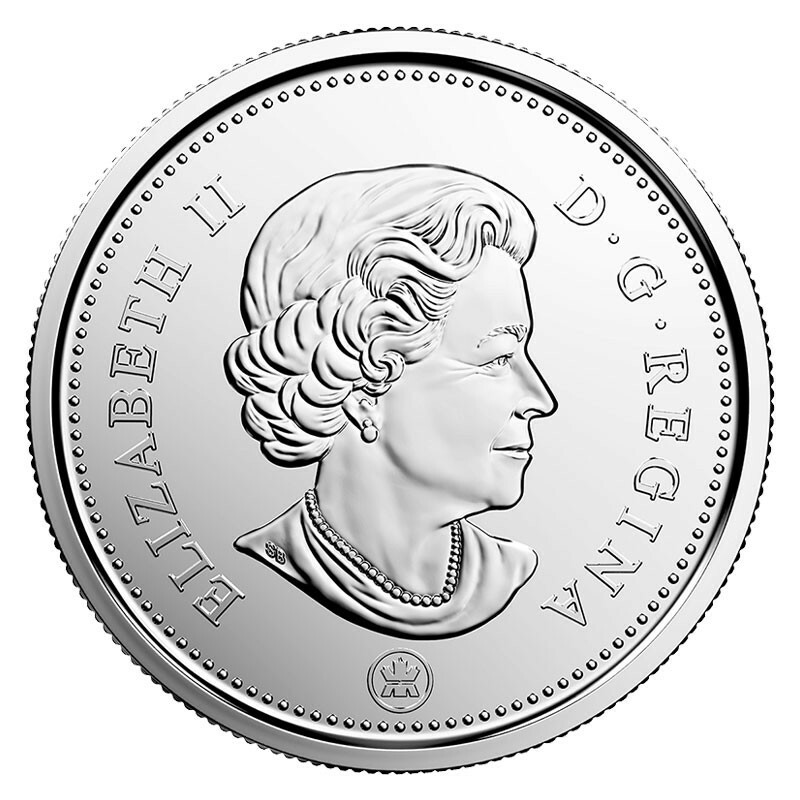 Your coins feature Canada's Coat of Arms, a heraldic art form dating back centuries that was officially declared by King George V in 1921. 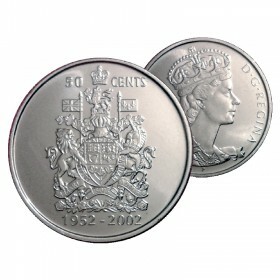 The Arms first appeared on the 50-cent coin in 1937 and was updated in 1957 and 1994. 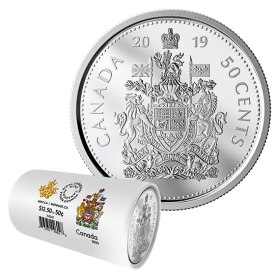 2019 Canadian 50-Cent Coat of Arms Circulation Coin comes from an original roll and in brilliant uncirculated condition.